Saying “thank you” is a marketing dream. There are businesses that are built on the premise that expressions of gratitude are wonderful. There are numerous days in the year when the shops are full of chocolates, gifts, card & flowers telling us to say thank you. I’m not saying that there is anything wrong with this. In fact, it’s great that we are encouraged to think about what we are grateful for but I do wonder how much meaning and thought goes into these expressions of thanks and if it has become something that we “have to do” or something that is done as a quick thought whilst doing the shopping. Most of the time, “thank you” is said as a response to immediate actions or events, for example, the waiter brings over your meal, someone holds open a door, the postman delivers a parcel, someone writes “Happy Birthday” on your Facebook wall (you say thanks with a big thumb!) and so on. These two little words are can have such a big impact! It shows you are appreciative of what someone else has done for you and keeping up this level of saying thanks is brilliant! However saying “thank you” can be done so quickly and can also be so easily forgotten. What is an expression of gratitude on a deeper, long-term level look like? Is it a thing we have forgotten, don’t have time for, don’t value or is it regarded as unnecessary? Finding ways of expressing our deep gratitude takes time. There was a time when people sat down at the table together and gave thanks for the meal they were having. There was a time when people who received a gift for their birthday wrote a beautiful thank you card. There was a time when people cooked a meal for the neighbours who mowed the lawn or took in a parcel from the postman for safe-keeping. Should we express our thanks on a deeper level? Yes. “Thank you” when given time and meaning holds value; high value. Feeling grateful or appreciative of someone or something in your life usually attracts more of the things that you appreciate and value in your life. And the more of your life that you like and appreciate, the healthier and happier you’ll be. So who do you need to thank? How will you show them the value they have in your life by thanking them? 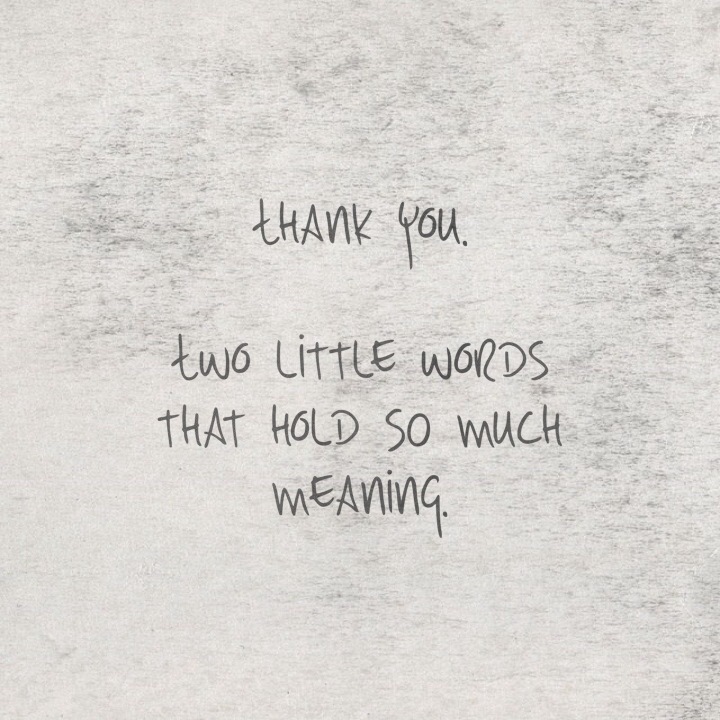 Take some time out today to deliver a meaningful & mindful thank you to someone. Thinking with your heart will lead you in the right direction.